Sleep Strategies has become the leading sleep scoring provider for one simple reason: our stable corporate structure and exacting standards attract the best, most qualified medical professionals. 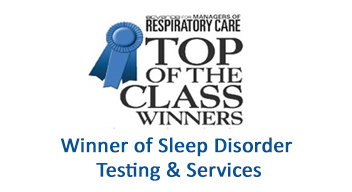 Including our scoring, training and consulting divisions, we are one of the largest employers of registered polysomnographic technologists in North America.Our greater goal is to become the leader among sleep scoring providers worldwide, and it shows in our client list. We work with some of the largest and most prestigious hospitals and sleep laboratories across the country who trust and depend on Sleep Strategies to analyze their patients sleep studies with the utmost precision and accuracy. Our corporate success stems from the leadership and culture of our company. Our management team constantly looks for ways to improve, and to bring more value to our client relationships. 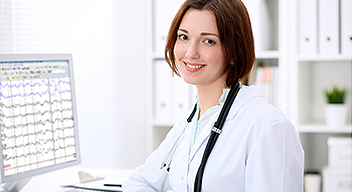 Since its inception in 2001, Sleep Strategies has played a key role in the success of numerous leading healthcare providers and continues to offer scoring services and expertise to leading hospitals; private sleep laboratories; pharmaceutical companies; universities; research institutions; and home-care organizations. Almost two decades later we are still grounded by our core values and strengthened by our ability to serve. Sleep Strategies scoring services assist clients deploy cost-cutting initiatives that enhance operations all the while improving patient care. Our competitive outsourced pricing model continues to enable sleep laboratories to remain competitive as the sleep medicine industry continues to evolve to the changing healthcare landscape. © 2019 Sleep Strategies. All rights reserved.